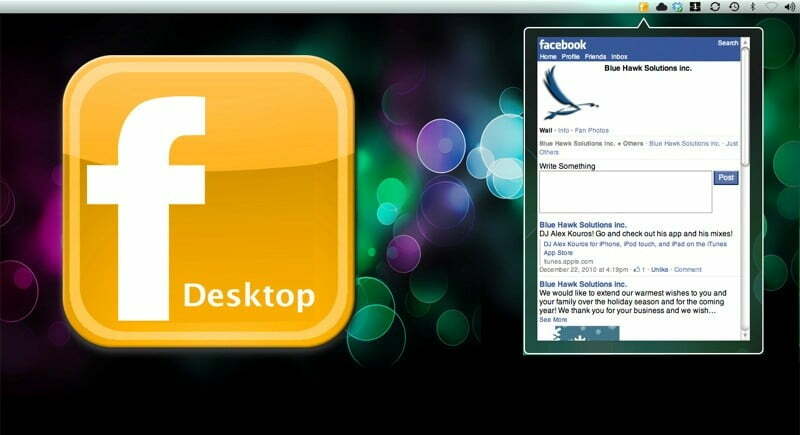 What will Facebook’s desktop application look like? There has been ample talk about Facebook’s future ambitions. We already know it’s taken some of the media content market for itself and is edging in on e-mail. It’s also prompted users to make the site their homepage and there have been suggestions it’s interested in search. Now a new job posting from the company indicates it’s looking beyond your browser. According to Facebook’s career section, it’s looking for a desktop software engineer for its Seattle team. The position requires candidates to create desktop applications for Mac or Windows systems as well as have a “expert knowledge” of both operating systems, be able to create software that integrates with the Internet, and says PHP knowledge is “a plus.” So what is Facebook building? The first and most fantastical possibility is that Facebook is building its own Internet browser. There have been rumblings about such an application for awhile, but nothing even remotely concrete has come of them. But even if this job position isn’t intended for such a product, expanding into this arena means Facebook would have the in-house potential for such a project in the future. But being more realistic, we could see being a variety of more rational endeavors. Facebook has become the destination for photo sharing. The site has made many modifications to how users upload photos as well as an album’s UI. Facebook knows how widely used this platform has become, and perhaps it’s planning to take this popularity and run with it. A desktop application that allows you to upload and tag photos without being logged into Facebook would be a welcome addition to users whose photos are solely bound for the social network anyway. We’re seeing more and more digital cameras integrate with social sites, allowing users to pre-select photos to be uploaded to Facebook, taking one step out of the process. While we’re hypothesizing, maybe Facebook is even interested in adding some very basic editing options – red eye, brightness, contrast, cropping – simple things most users do to their photos before throwing them on the site. 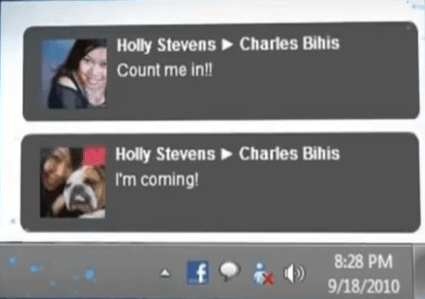 Facebook began experimenting with a desktop notification app for Mac OS x 10.5 back in 2009, but the state of the project has stayed just that: experimental. The job posting advertises for a developer familiar with both Mac and Windows, and maybe Facebook plans to bring notifications (include chat notifications) to all desktops. Enough outside parties are creating their own apps for this purpose that it’s high time Facebook had an in-house option. Earlier this year, Facebook Desktop stole quite a bit of attention for bringing notifications to the right hand corner of your desktop. And it’s not the only one: What’s Up! For Facebook and Facebook Chat Notification are just two of the popular Chrome Web Store clients. It would make sense for Facebook to take some of this success for itself. Rumor: iPhone 4S coming this summer?